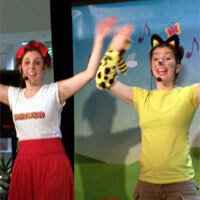 About The Artist: The Yellow Kat show is an interactive children’s show full of fun, singing and dancing. Our show and music is energetic, upbeat and will have the kids wiggling and giggling and singing along to our catchy tunes. The show is suitable for ages 0-8 years old, taking them on an educational adventure using music, storytelling and mime. We perform at fetes, fairs, shopping centres, corporate events, carnivals, preschools.